CAMELOT CASTLE - your dream destination. way to end your day!! Electronic darts, Play-In Castle and TV, DVD and VCR. being there! Latest Virtual Tour photographed in January 2006. COMPLIMENTARY Local, Long Distance and International Phone Calls. phone card or use your own cell phone! of birds roost. The resident heron and egrets are a joy to watch. rays from early morning until sunset. enjoy Pool, Foosball, Electronic Darts and Quoits. Our guests also enjoy UNLIMITED USE of the following items: ~~ Complimentary Long Distance & Local calls in America & Canada ~~ Complimentary International phone calls to over 100 Countries ~~ Computer with 24/7 high speed wireless internet access ~~ 7' Pool, Foosball & Electronic Darts ~~ MegaBlocks Play-in-Castle in Games room ~~ All Bed linens (minimum 2 sets per bed) ~~ Bath sheets, bath towels, hand towels & wash cloths ~~ Fishing rods ~~ 50' DLP HDTV with High Definition channels ~~ 4 x Cable TVs ~~ TV, DVD & VCR plus DVDs & videos in Games room ~~ 4 x Clock radios ~~ 5 x Hairdryers ~~ 5 x DVD/CD players plus DVDs ~~ 4 x Phones (2 x cordless - chat to friends & lounge by the pool) ~~ Telephone Answer machine ~~ 2 x Stereo/CD system ~~ Sony Playstation 1 ~~ Sony Playstation 2 ~~ Toys, Board Games, Pool inflatables, Books ~~ 10 luxuriously padded upright deck/pool chairs ~~ 4 luxuriously padded sunloungers ~~ Luxury pool towels (16) ~~ Pool towel stand ~~ Pool cover on roller ~~ Pack'n'Play Travel crib & bedding ~~ Highchair ~~ Baby Stair gate ~~ Baby monitor ~~ Child bed & Winnie the Pooh bedding (suitable for up to 6 years) PLUS ~~ Electronic front door lock - no need for keys or check-in at an office - go straight to Camelot Castle. ~~ Top of the range appliances in Kitchen and Laundry. ~~ Ceiling fans in lounge, family room and ALL bedrooms. ~~ Automatic garage door. ~~ Monitored Security Alarm System. Camelot Castle is by far the best, and our favorit spot to vacation at. Wow!! We always have a great time each time we visit Camelot Castle. 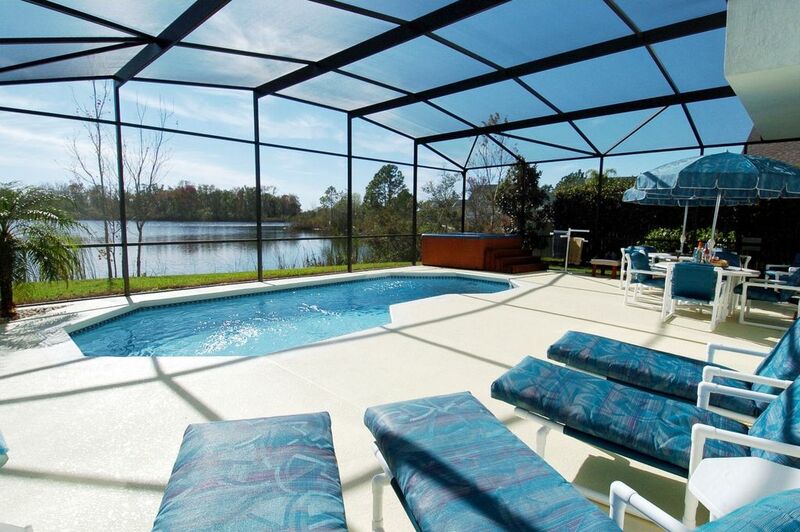 Just minutes away from Disney World, Shopping and very close to restaurants and amenities. Bookings are very easy with quick reply. We have been to there many of times and each time we fall more and more in love with the Castle. It has its old castle charms with new and modern amenities. It's like home away from home. The rooms are deluxe, spacious, the entire house is catered for everyday living and great for famlies. Kids have a great time too, Especially the indoor kids Playroom, filled with toys, pool table, and gaming station and lets not forget the pool. What makes Camalot Castle stand out is the breath taking sun sets views which over look on to the private lake. The pool is plentiful and nice but the hot tube is the best. Especially after a long day on your feet at Walt Disney you return to a soothing, relaxing hot tube which by the way looks onto a private lake. Just imagine the sun set with a glass of wine at hand. How splendide! The pool is well kept and maintained the gardens are well manicure, you can tell there is pride and ownership to the property. The neighbourhood is quite and beautiful, we always like going for long walks in the evenings. Can't wait to return to live like royality! After all.... Lets face it who dosent want to be the king of the castle!.. Nature walks in the Thousand Oaks woodland preservation.